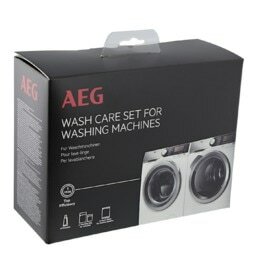 This deep clean washing machine treatment removes residues from the door seal, pipes and drum of your washing machine. Deposits can build up over time in these areas and may cause bad smells and even stain your clothing. Its leaves important parts of your washing machine completely clean, thanks to its powerful action of enzymes and degreaser.